Living… alone for the moment. Instead of joining his family for their Christmas vacation in France, Kevin is left behind in his family’s mad rush to catch their plane to France. And to make matters worse, he overhears two burglars’ plot to rob his house. Interests… plain cheese pizza, microwave mac and cheese, firecrackers and ‘50s doo-wop. Challenge… fending off the burglars. He assembles an array of defense mechanisms from simple pranks to complex Rube Goldberg-like contraptions to inflict pain and confusion on the burglars as they attempt to invade his house. But perhaps a more daunting challenge Kevin faces is conquering bigger fears: scary Old Man Marley, who murdered his whole family back in ’58 and still haunts the neighborhood; scary gangster movies; and the scary haunted furnace in the basement. Personality… creative, quick, and mischievous. Like any kid, he enjoys bouncing on his parents’ bed, roughhousing, and eating junk food. Kevin yearns for the independence of adulthood, and when left to his own devices he relishes the opportunity to partake in various boring adult activities: grocery shopping, setting the table, doing laundry, sawing down the Christmas tree, and especially, shaving. 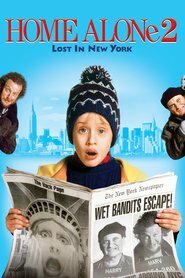 Kevin McCallister's popularity ranking on CharacTour is #1452 out of 5,000+ characters. See our top-ranked characters and read their profiles.